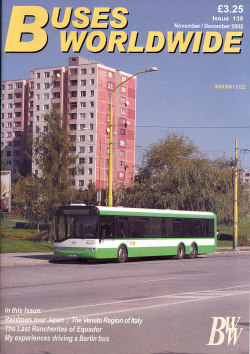 The name of the society shall be “Buses Worldwide”. 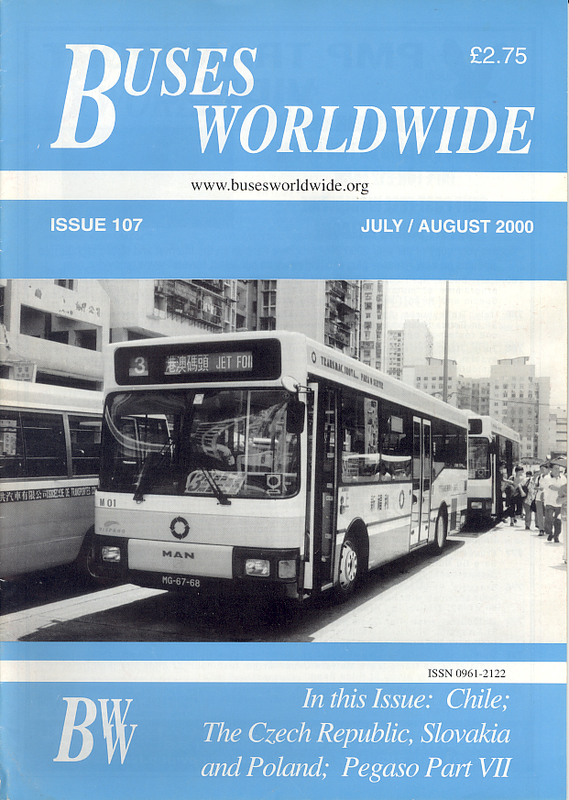 Buses Worldwide is formed for the association of persons interested in road passenger transport and to afford members facilities for discussion and exchange of information on matters connected with their interests. 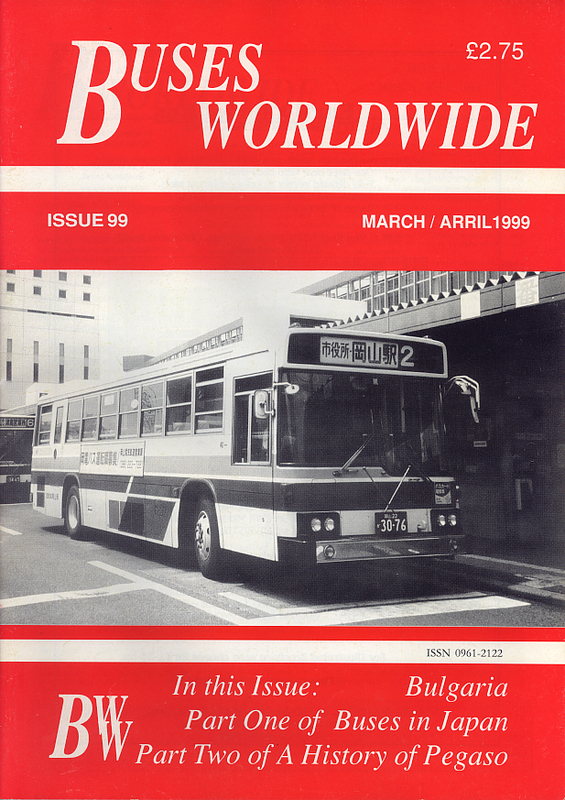 Buses Worldwide may publish a general journal and such specialist journals as the Committee deem desirable. 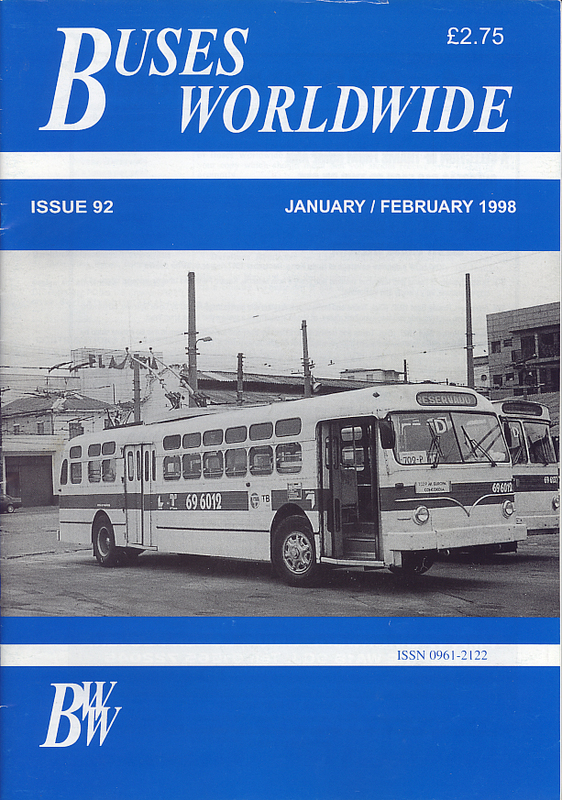 Members may subscribe to all or any of these journals and shall be deemed full members of Buses Worldwide. 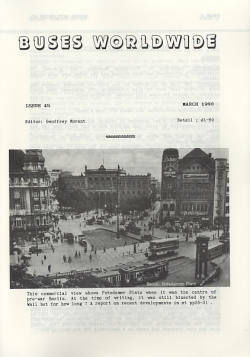 (a) The ordinary management of the affairs of Buses Worldwide shall be delegated to a Management Committee which shall include Chairman, Secretary, Treasurer, Managing Editor, Membership Secretary 1 representative of each of the journals published and other elected members to a total of no more than 11 including officers. (b) The Management Committee shall be elected at each Annual General Meeting and the committee so elected shall hold office until the close of the succeeding Annual General Meeting. Retiring members of the Management Committee shall be eligible for re-election. (c) Nominations for election to the Management Committee shall be by written notice delivered to the Secretary not later than 21 days before the Annual General Meeting. In order to be valid a nomination must be both proposed and seconded and must be accompanied by the nominee’s written assent. 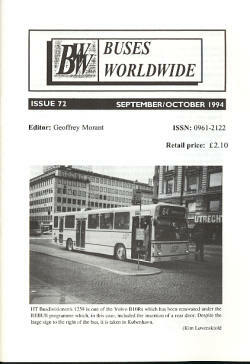 Proposer and seconder may be any members of Buses Worldwide whose subscription is fully paid up. A nominee for election to the Management Committee may be any member whose subscription is fully paid up. (d) The Secretary is required to notify to members the names of all nominees in the agenda for the Annual General Meeting. (e) If the number of nominations exceeds the number of appointments permitted under the rules, a ballot shall be held. Papers for such a ballot shall be distributed with the agenda for the Annual General Meeting and shall be returned to a designated officer at or before the meeting. (f) The Management Committee shall fill interim vacancies by co-option. (g) The date and venue of meetings of the Management Committee shall normally be decided at the previous meeting. In exceptional circumstances, a meeting may be convened by the Chairman, and the Secretary shall inform all committee members accordingly. (h) At meetings of the Management Committee four shall form a quorum, and no business shall be conducted unless a quorum be present. 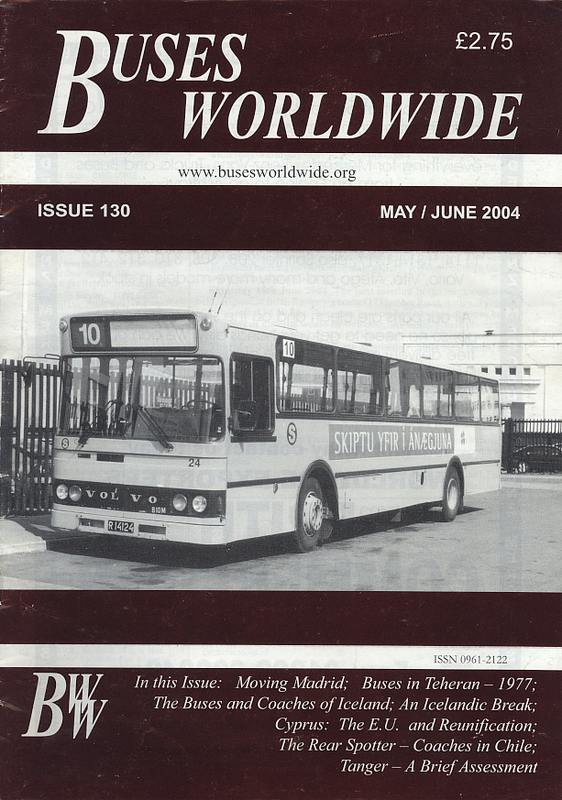 (i) The Management Committee may appoint members to other offices or sub-committees, as and when occasion arises, in order to assist the work of Buses Worldwide. These members shall not become members of the Management Committee by virtue of such appointment. 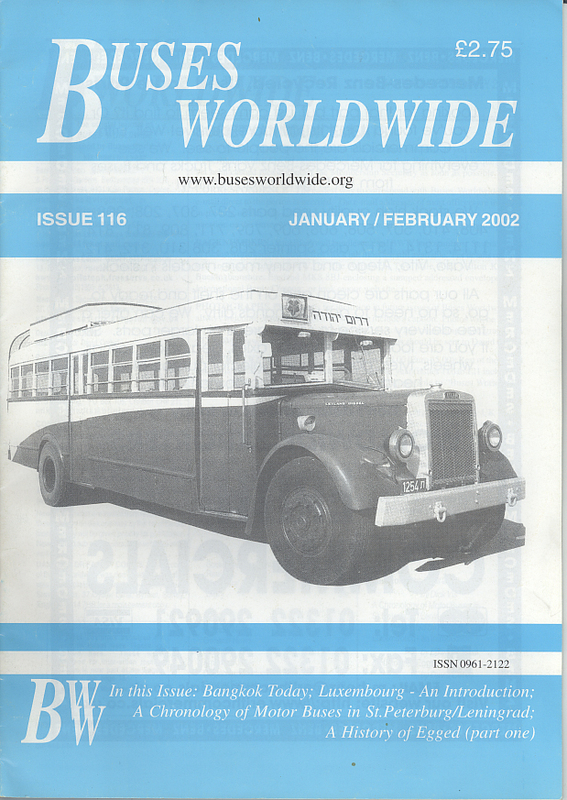 (j) The decision of the Management Committee in all matters connected with Buses Worldwide is final save that this rule shall not conflict with rule 5(e) nor with any decision reached by members in General Meeting. 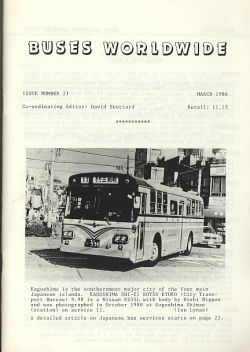 (k) Minute books shall be kept in which shall be recorded the proceedings of the Management Committee and General Meetings of Buses Worldwide. The minutes of the previous meeting shall be approved by the meeting and signed by the chairman. (a) Each member shall pay an annual subscription of 50p. In addition, the member shall be charged a journal fee for each journal subscribed to, payable in advance, at a rate to be determined from time to time by the Management Committee. (b) The approval of the Management Committee is required for all financial expenditure. Financial commitments incurred by individuals or sub-committees can only be entertained if previously sanctioned by the Management Committee. 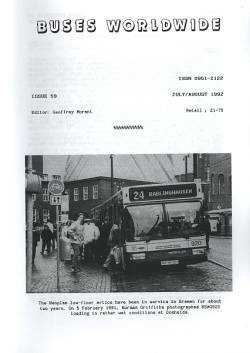 (c) The Treasurer shall keep an account of all monies received and expended by Buses Worldwide and a financial statement shall be circulated to all members sixty days prior to the Annual General Meeting. 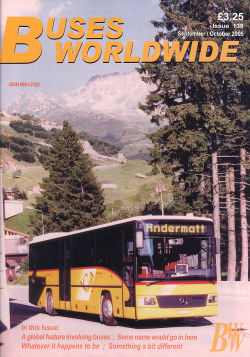 The financial year of Buses Worldwide shall be from 1st January to the ensuing 31st December. (d) The Management Committee shall appoint an independent Examiner who shall not be a member of the Management Committee and shall make his report on the accounts available before the following Annual General Meeting. 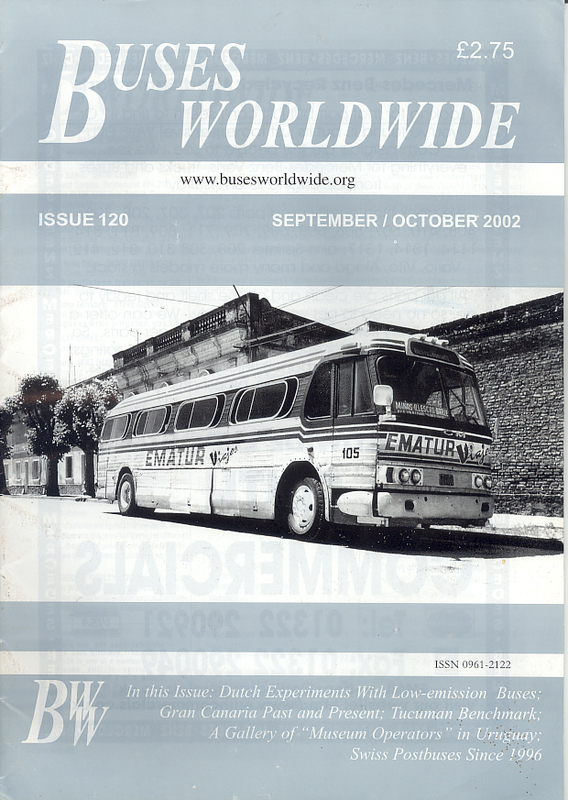 (e) In the event of a decision to disband Buses Worldwide, the members in General Meeting shall appoint a Receiver who shall realise the assets of Buses Worldwide, pay any proven debts of Buses Worldwide and distribute equitably any remaining balance among the members fully paid up at the time of appointment of the Receiver. (a) Prospective members should not be under 18 years of age, but the Management Committee may relax this rule at its discretion. The Management Committee reserves the right to reject any application for membership without assigning any reason for so doing. 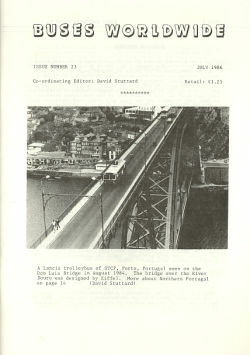 (b) Members joining during the course of a year will receive back numbers of the appropriate journal for the current year as far as supplies permit. 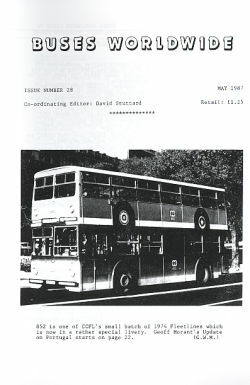 (c) The Management Committee may exempt a member from making subscriptions to Buses Worldwide. 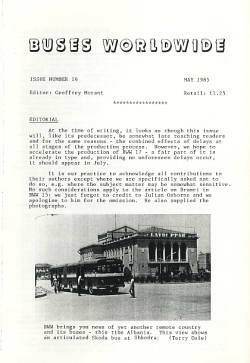 (d) A copy of the rules shall be posted on the Buses Worldwide website and the attention of all new members shall be drawn to this. Those without access to the internet may apply to the Membership Secretary, who will send one out. Requests should be accompanied by an addressed envelope and appropriate return postage. (e) Any permanent change of address should be notified to Buses Worldwide immediately. (f) The Management Committee may expel any member should his conduct be deemed to be detrimental to the interests of Buses Worldwide. 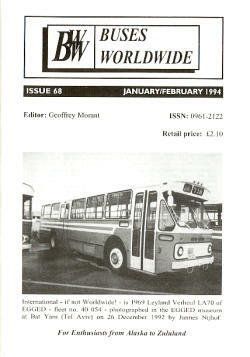 An expelled member may appeal against his expulsion at the next following General Meeting of Buses Worldwide and he shall be given due notice of the time and place of that meeting. (g)(i) An application for appeal under rule 5(f) must be made in writing and signed by the expelled member and lodged with the Secretary before 31st January in any year to allow for this item to appear on the Agenda and for notice to be given to all members. (ii) The appeal shall be heard in open meeting and a vote taken by all members present as to whether the appeal shall be upheld or dismissed. A vote shall be by secret ballot and the decision communicated in secret to the Chairman of the meeting who shall pronounce the result. If the appeal be dismissed, the expelled member shall not be entitled to appeal until the next General Meeting, when the same procedure shall be adopted. 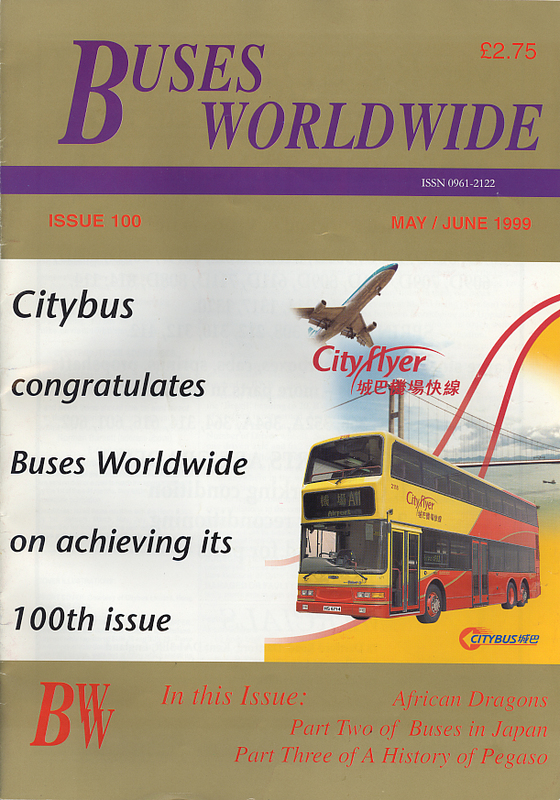 (a) A General Meeting of Buses Worldwide shall be held annually before 30th June of each year. The notice calling the Annual General Meeting shall be given 30 days prior to the meeting and an agenda advising members of the matters to be dealt with shall be published at least 14 days prior to the meeting. The Chairman shall make a report to the members and this report together with the financial statement for the proceeding year shall be circulated to the members via the website at least 7 days before the meeting. (b) Other General Meetings may be held at such times and places as are deemed convenient by the Management Committee. Every member shall receive 21 days notice of these meetings and shall be advised of the matters to be dealt with. (c) Any member unable to attend a meeting in person may advise the Secretary not less than 4 days before the date of the meeting as to his views on any matter which shall be brought to the vote and the Secretary shall present these views and shall be required to cast votes for the member as though the member was personally present at the meeting. (d) The Secretary will be required to convene an Extraordinary General Meeting within one month of representations in writing from 10 or more members. 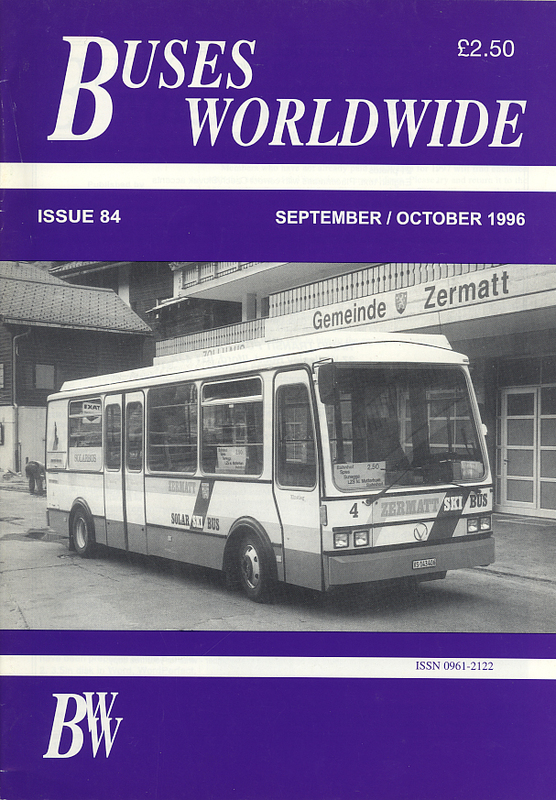 (e) A quorum at any General Meeting of Buses Worldwide shall consist of ten members and no business may be conducted unless a quorum be present. (f) At its discretion, the Management Committee may organise social meetings and visits for members. 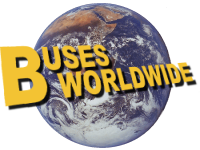 (g) Every member may introduce guests to social meetings of Buses Worldwide, provided that the guest or guests introduced have not been expelled from Buses Worldwide nor refused membership. (h) Subject to the discretion of the Management Committee, guests may also be introduced on visits of Buses Worldwide provided that the introducing member acquaints his guests with the provisions of rule 6 (ij) to (m) and 7 and ensures that those provisions are adhered to. (ij) During visits arranged by Buses Worldwide, members and guests must obey directions given by the official leaders of the party and by representatives of the undertaking visited. (k) Misconduct by any member or his guest will result in a report being placed before the Management Committee and may result in the expulsion of the member concerned. (l) Neither Buses Worldwide nor any party concerned shall be responsible for any injury or damage howsoever caused resulting to any member or guest or their property whilst participating in any function arranged by Buses Worldwide. Members shall be deemed to have been advised of this notice by virtue of its publication in these rules. 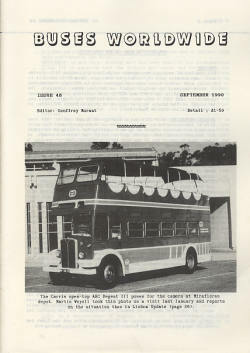 (m) Buses Worldwide shall not be held responsible for any loss or damage occasioned by members or guests at any time. Such damage howsoever occasioned shall be the sole responsibility of the individual or individuals concerned. 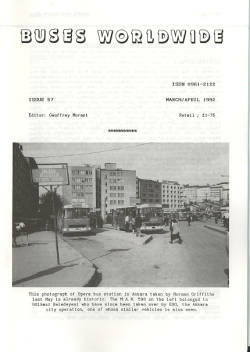 (a) No member may use the name of Buses Worldwide or its officers in any communication which would bring the society or its officers into disrepute. Any breach of this rule will render the member liable to expulsion. (b) Any financial or other commitments entered into in misrepresentation of Buses Worldwide will be the personal responsibility of the person or persons concerned. (a) Any proposed alterations of rules should be supported by at least three members and submitted to the Secretary in writing not later than 21 days before the Annual General Meeting. (b) These rules shall not be rescinded or altered except at the Annual General Meeting following a motion to the Secretary as provided in rule 6(a) or at any other General Meeting as provided in rule 6(b). Any alteration proposed must be written in full and supported by at least three members. Determination or rescinding of the rules shall be decided by the vote of the majority as provided under rule 6(c). No amendment to the substance of any alteration proposed shall be permitted.